Instead of plunking down the cash for an expensive designer bag or $200 jeans, technology is where I spend the big bucks. So don’t give me any crap when I tell you I bought an iPad, because I love it. It has simplified my life in so many ways by acting as a multi-use device. I use it for so many activities: reading, gaming, research, movie watching. It has been worth the investment so far. And while I already have a solid iPad case (a gift from Terry when he bought a prettier, more functional case) that hasn’t stopped me from eyeing what’s out there. Here are my favorites found from roaming the Internets and getting the heads up from cool sites Terry came across. 1. For the Moleskine lovers: the DODOcase. I am just a little obsessed with Moleskines, especially ones in pretty colors (I am currently using this violet-colored pocket-sized Moleskine, which was part of a special collection commissioned by Amsterdam’s Van Gogh Museum). So you can imagine how excited I was when Terry sent me a link to this site. Whether or not I end up getting one, the design is just super cool. And it’s made in San Francisco to boot! Looks like a Moleskine notebook but actually houses an iPad. Awesome! 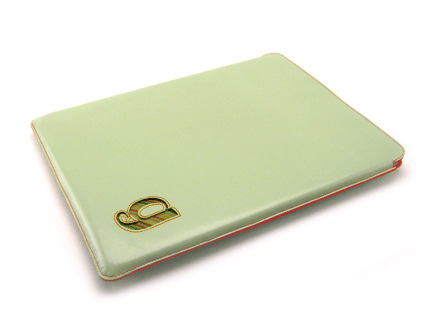 This is the case that Terry has, and it’s really pretty. He has it in plain ol’ black, but if I were to get one I’d probably go with the Nightshade Purple. 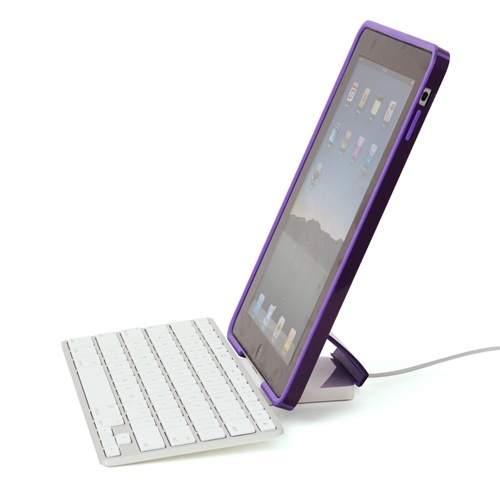 If you want to dock your iPad, this is one of the few really attractive cases that will allow you to do so easily. I love the name CandyShell. 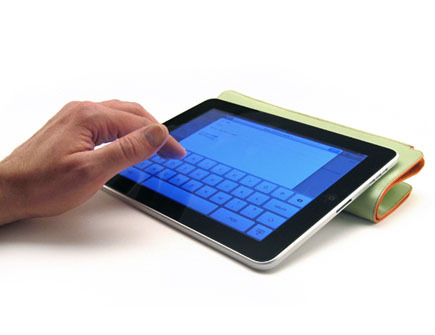 It just rolls off the tongue so nicely and makes your iPad sound like a tasty sweet treat (which it is!). Temple is a company that makes bags crafted from WWII vintage WWII fabrics that they have salvaged, washed, and re-purposed. According to their site, “Each bag is guaranteed to be 100% one of a kind.” The bags are gorgeous. I’m not sure if I like the idea of carrying my iPad in a separate bag, but if I did, I would probably get one of these beauties. If you haven’t guessed by now, I’m freakishly into the color purple. Which was why this case caught my eye when I was in the Apple Store recently. I love the feminine detail of the translucent outside pocket that has a delicate, lacy quality. 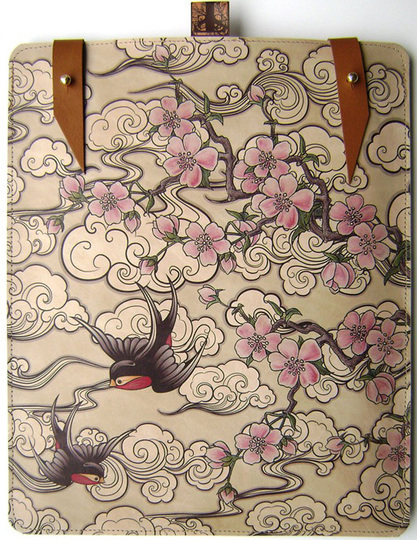 I have an AB Sutton case for my Kindle that I love. I was able to customize the color of the leather, the inside fabric lining and monogram my initial “M” on the front. For the iPad, it’s a little too minimalist for my taste, but there’s no doubt AB Sutton’s cases are incredibly classy and you can’t go wrong with this one. Do you have an iPad? What are you using to pretty it up? I suppose I shouldn’t be too unsatisfied with the iPad case I already have. After all, if Hilary Duff is carrying it that must mean it’s stylish, right? Terry sent me a whole bunch of new links to iPad cases, and I wanted to share a few more of the ones I thought were interesting. 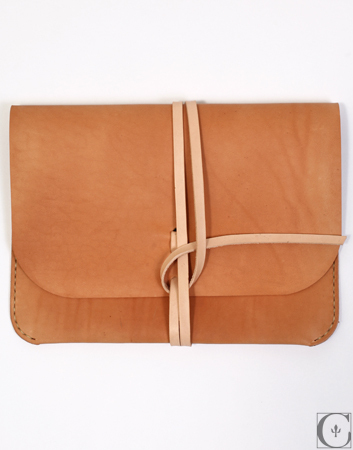 Cool Hunting wrote about a number of nice iPad cases. This one from Kenton Sorenson Leather caught my eye. So simple. I love how it brings an old-school feel to the iPad’s cutting-edge technology. 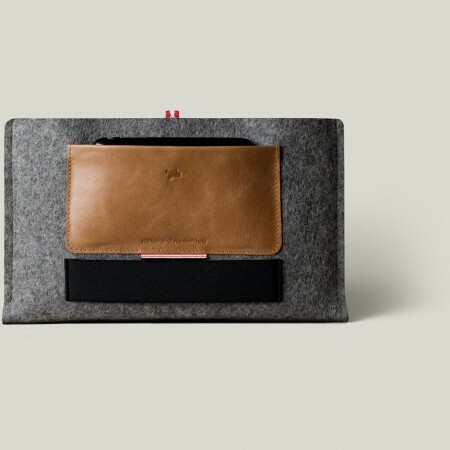 This case from hard graft is also pretty neat. I like the texture combination of felt and leather. Unplggd covered these beautifully designed cases with unique illustrations. You can buy them from Beautiful Skin on Etsy. NotCot’s Jean Aw showed off her InCase iPad Convertible Book Jacket, which looks pretty slick and has a great built-in stand. 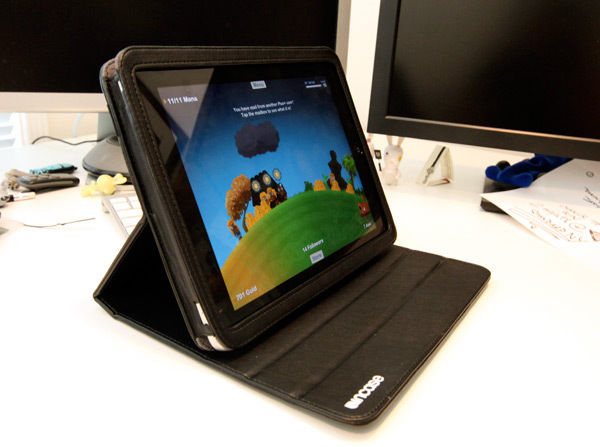 And if you want to read the holy grail of iPad case guides, iLounge has a great one up on its site. 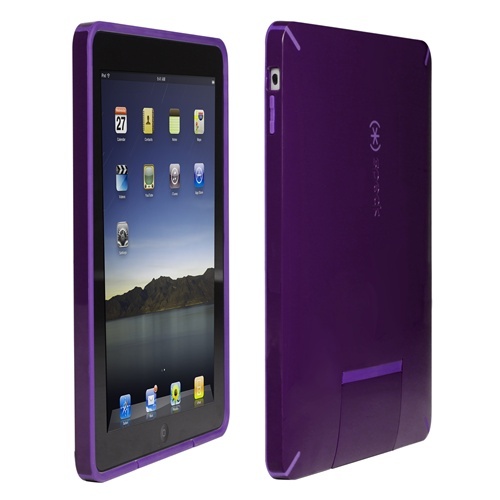 I don't have an iPad, but I too am obsessed with purple, so I might opt for that girlier option or the candyshell. It looks sturdy enough. I hope you chose the DODOcase. We certainly do build it with a lot of love and care. I am actually leaning toward the DODOcase. It’s definitely my favorite of the bunch. 🙂 In fact, my boyfriend just told me he’s already ordered one for me so I’ll be getting one soon! The creativity and industrial design that goes into these cases is quite remarkable! It is really fun to see how creative people can be with the cases. It makes it so much more enjoyable to use your iPad when you have a beautiful case to hold it in. 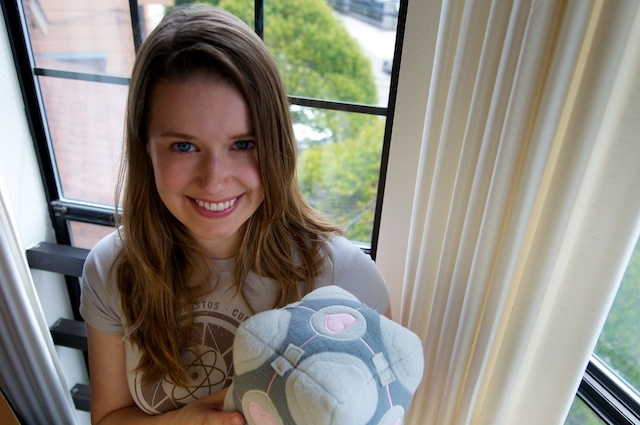 Great article, Marie! I like the clean layout. This could be in a magazine. 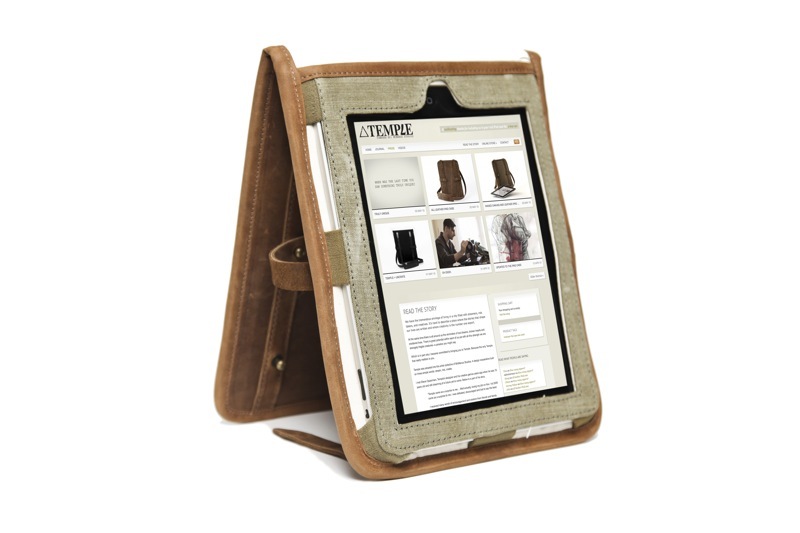 When I finally do get my iPad, I think I'd go with the Temple Army-issue case. 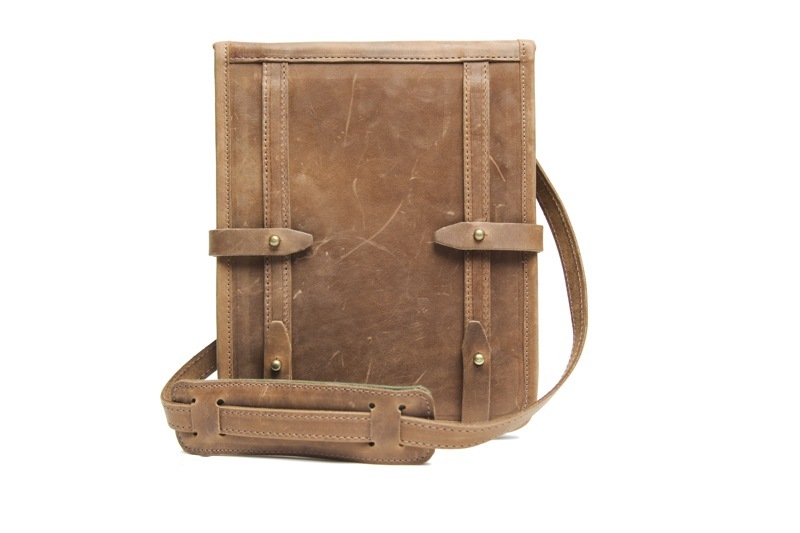 I’m looking for a combination ipad case/compendium thing – something that’ll hold a notepad on one side and the ipad case on the other – as well as maybe a pen and some business cards. Am not too fussed about what it’s made of, as long as it’s not overly cheap and bulky. Has anyone seen anything like that in their travels? Check out Levenger. They have a great selection of iPad cases for business use, and quite a few that have a notebook/pen holder/business card slot included. 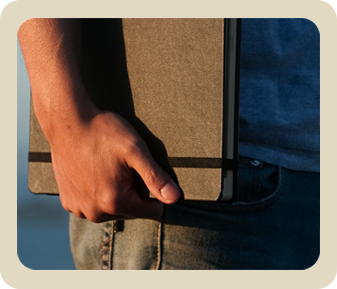 I like the look of the Moleskine digital folio.